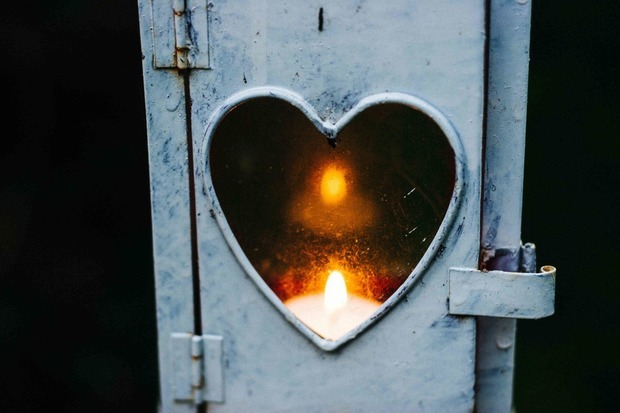 Valentine's Day is here again, and we have a couple great events for you to check out this evening! WHAT: Tattoos between 7-10 p.m. by Olivia Pakitsas. She will continue to do tattoos until 1:30 a.m. at a very discounted price ($25), just in case you don’t make it in time. 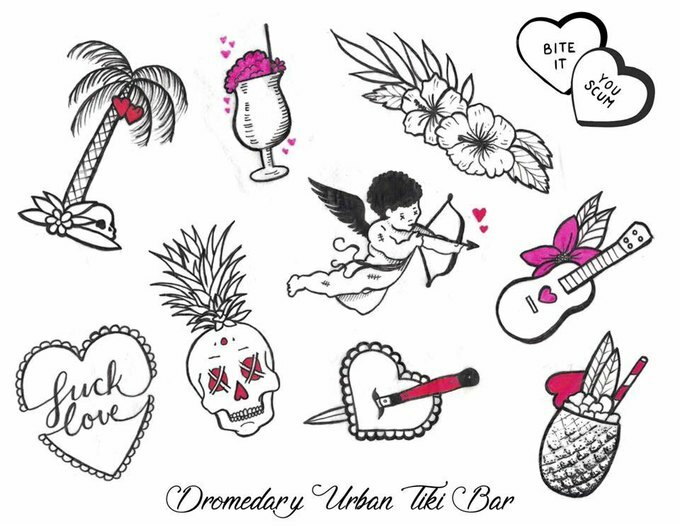 Dromedary Bar will be serving hollowed out pineapples for two, with a special V-Day concoction. They are also offering a “Decadent Donut Burger,” which is a glazed donut, beef brisket pattie, avocado cream, and bacon. Dromedary Bar is a safe space for non-monogamist, polyamorist relationships, and they are offering a drink special for the night. If you’re on a date with your significant other and a third, the third gets a drink on us. Just come and enjoy! WHAT: Head over to Sweet Jane's tonight for red wine drink specials, candy, and blood-curdling movies! 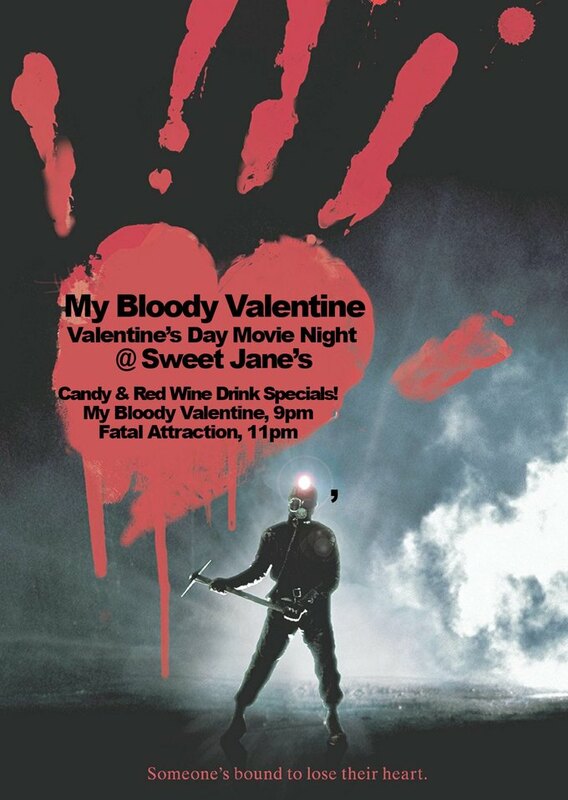 "My Bloody Valentine" plays at 9 p.m. and "Fatal Attraction" at 11 p.m. Come early: happy hour runs until 9 p.m. daily!